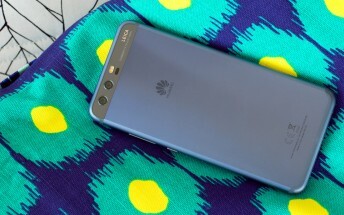 The Huawei P10 is the Chinese phonemaker’s latest major smartphone release. Think of it like a smaller version of the Huawei Mate 9. Much smaller, in fact. The major difference between the Mate 9 and the P10 besides the size and battery capacity is the omission of an IR-blaster on the P10, which totally would have put the cherry on top. Anyway, back to the teardown. Since the P10 has a 5.1-inch screen, you can imagine that Huawei had to accommodate identical internals from the Mate 9 to the P10. The resulting hardware build is quite impressive. Despite packing a respectable 3,200 mAh battery, notice how much space the battery takes up in the disassembled phone: almost the entire width of the phone. Take note, Apple. 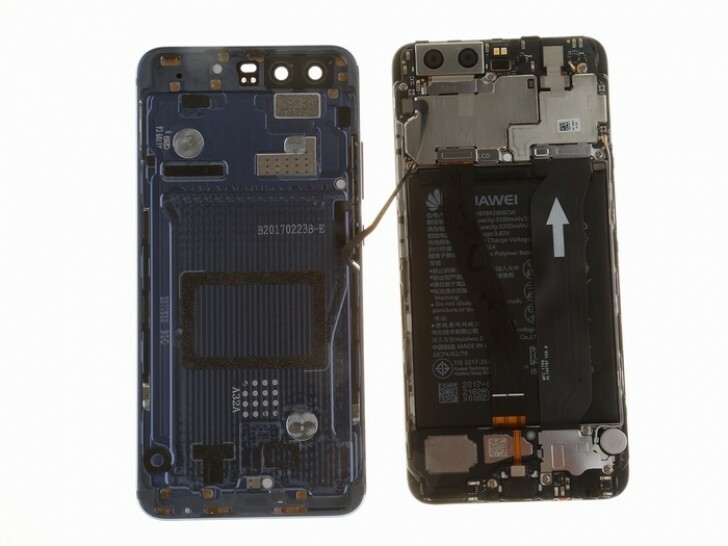 A couple of notable design elements are the irreversible SIM tray (which only lets you insert it one way) and Huawei's effort to use as few individual components as possible makes this device relatively repairable. The most difficult part would be separating the glass display from the metal body, which, once removed, is basically reduced to a metal shell. 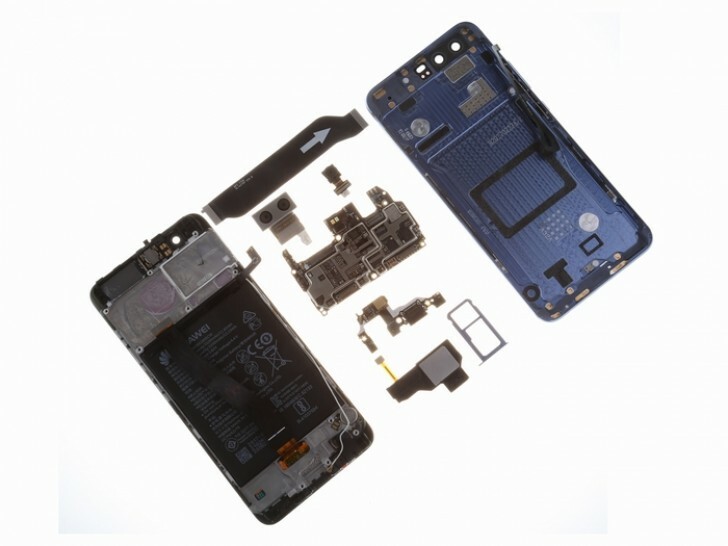 Meanwhile, most of the components are mostly fastened to the chassis, which is sandwiched between the battery and the glass. Check out the Source link for full teardown of the Huawei P10.